There is an acoustical closed loop in public address systems where the loudspeaker and microphone are enclosed in the same acoustic space. 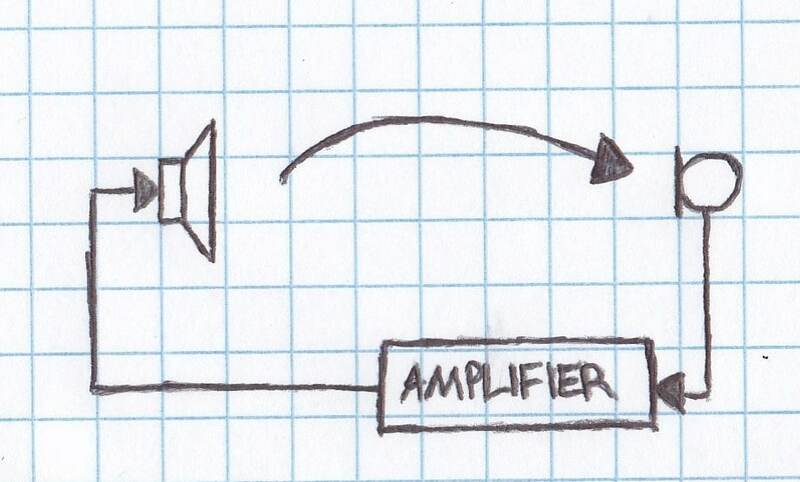 A system in which the loudspeaker and microphone are closely located and/or the amplification of the audio system is sufficient enough to make the closed loop unstable, feedback will occur. Based on the Nyquist stability criterion a closed-loop system becomes unstable if there is any frequency in which the response of the system is greater than 1 and/or if the phase response of the system is an integer of 2π. The figure above shows the closed loop of a public address system. There are multiple approaches to help ensure the system remains stable. Phase modulations methods were discussed here, and frequency reduction methods will be discussed in this article. A modified spectral subtraction algorithm can be used as an adaptive notch filter to squash the feedback frequencies. The feedback frequencies that violate the frequency criteria will be present in the noise spectrum estimated by spectral subtraction algorithm and will be suppressed. 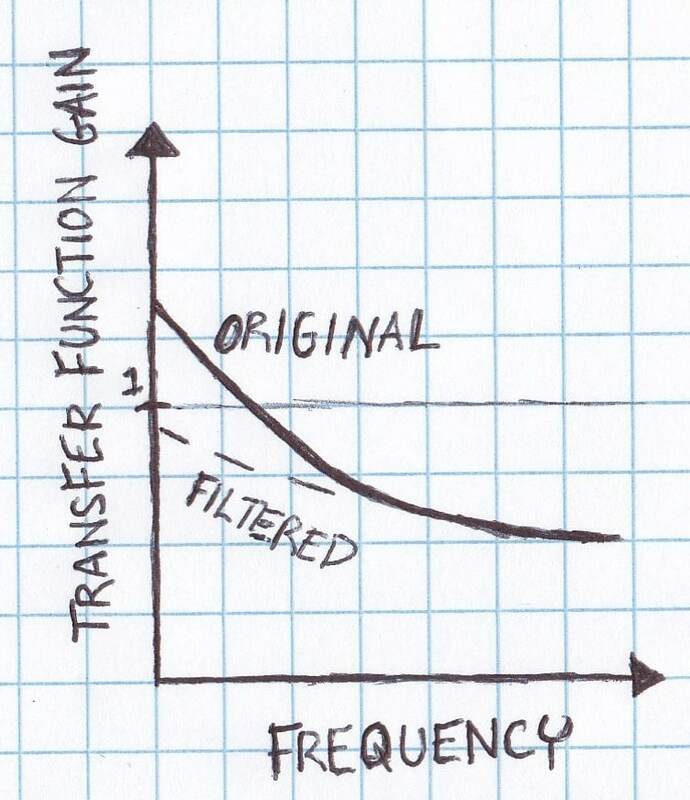 Additional signal processing is needed to determine which frequencies in the noise spectrum can be consider feedback and frozen into the noise spectrum. Otherwise, after feedback frequency has been removed, the noise spectrum estimation algorithm will re-adapt with the feedback frequency absent from the noise spectrum. This will lead to the return of the feedback frequency. Sometimes in enclosed loudspeaker microphone systems there is a wide bands of frequencies that violate the Nyquist frequency criteria, instead of a narrow frequency. In this case, it is best to design an equalization filter which will flatten the frequency response and make the system stable.